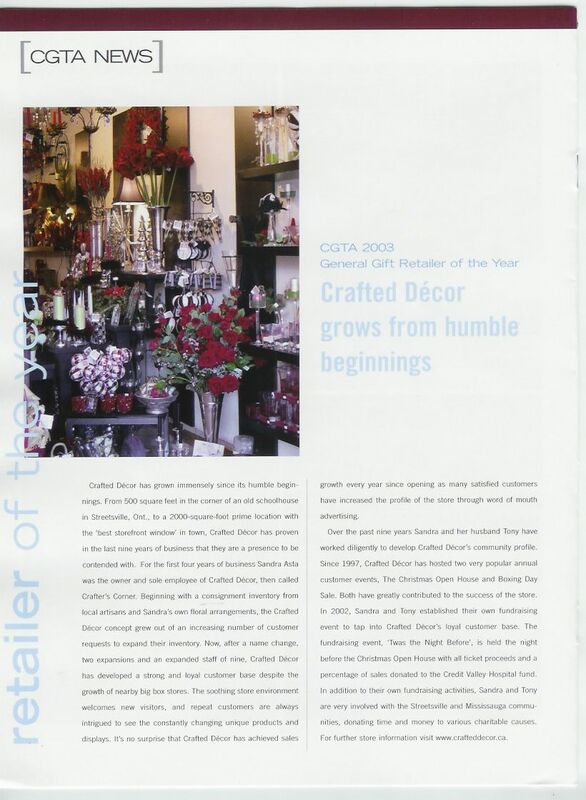 ​"Canadian Giftware Retailer of the Year"
Crafted Decor is deeply honoured to win such a prestigious national award and to be recognized by our industry. The criteria for this award were: visual merchandising & store design, business achievement, advertising & promotions, community involvement, and innovation/originality as well as a secret shopper visiting the store once we were chosen as a finalist. It is with great pleasure and sense of achievement that Tony and I received this award and we would like to thank our hard-working staff and our loyal customers for your support in helping us reach our goals.